The Permian Basin is one of the major oil and gas producing regions in the United States. 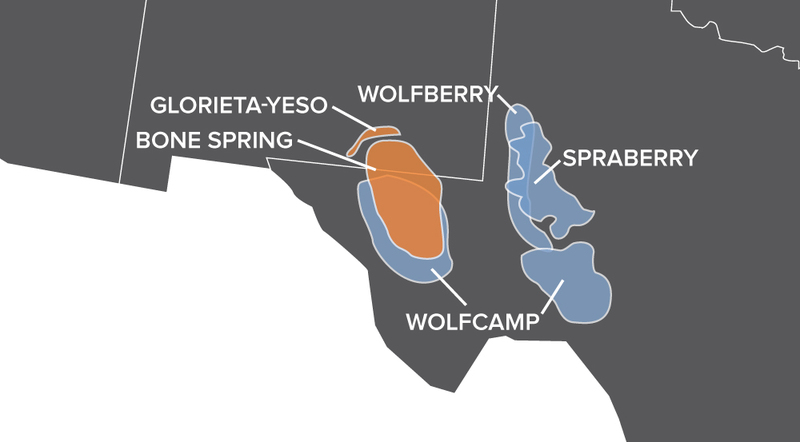 Among the stacked shale plays are the Wolfcamp-Spraberry (Wolfberry) and the Wolfcamp-Bone Spring. The adjacent upper Yeso and Glorieta subplays consist of more than 1,000 ft of shale and sandstones. The many potential pay intervals of the Permian provide a unique challenge for operators to identify the hydrocarbons interbedded in the shale, siltstone and carbonate rock at depths ranging from 6,000 to 13,000 ft. An operator working in both the Glorieta-Yeso and Bone Spring formations within the Permian Basin wanted to effectively access these hydrocarbons while keeping costs low. The operator chose to run the Packers Plus StackFRAC® HD open hole, multi-stage ball-drop completion system in its horizontal wells. Unlike cemented completions, StackFRAC HD open hole technology retains connectivity to natural fractures to the wellbore. The system uses hydraulically set, mechanical RockSEAL® H2 packers to isolate sections of the wellbore, and multiple FracPORT™ sleeves to create openings in between the packers to access the reservoir. Size-specific actuation balls are pumped into the system to hydraulically open FracPORT sleeves and create internal isolation from stage to stage. Between the Bone Spring and Glorieta-Yeso formations in New Mexico, the operator completed 15 wells in 2011. All these wells were run using StackFRAC HD systems, with stage counts ranging from 6 to 19 and an average lateral length of 3,709 ft. In 2012, the operator standardized its well design, completing 12 wells using StackFRAC systems, with stage counts ranging from 16 to 20 and an average lateral length of 4,211 ft. Comparing production among wells completed by Packers Plus for the operator among various fields, those completed in 2012 showed consistent increases in cumulative BOE during the first 16 months of production compared to those completed in 2011. 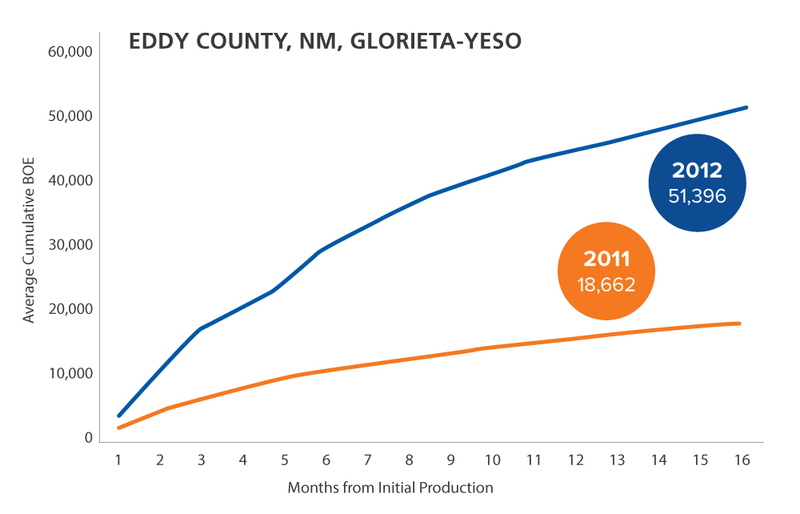 Overall cumulative production from StackFRAC wells completed in Eddy County, NM in the Glorieta-Yeso formation more than doubled between 2011 and 2012. 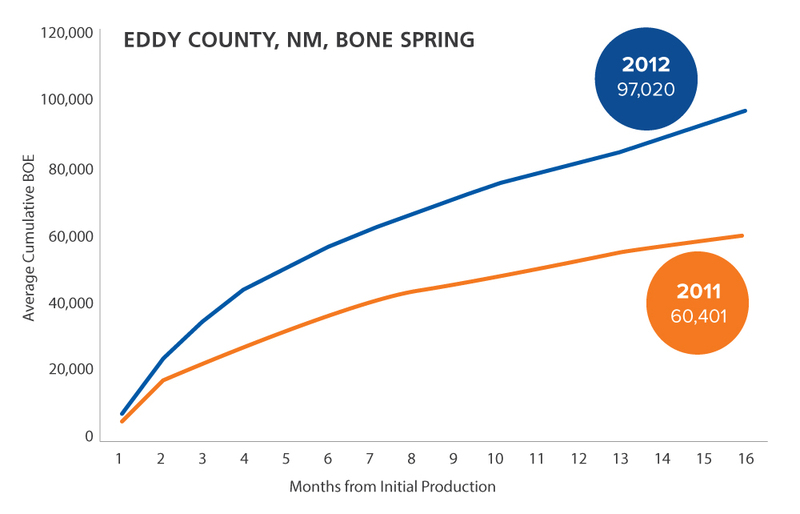 From other wells in Eddy County accessing the Bone Spring formation, production from StackFRAC wells completed in 2012 were an average of 36,619 BOE higher over the first 16 months. Operators working in unconventional oil plays continue to require innovative ways to maximize recovery. Packers Plus StackFRAC systems are field-proven, efficient and cost-effective, and provide superior production results.